This itinerary is ideal for travellers who have limited time, but want to see as many of western Canada’s highlights as possible. 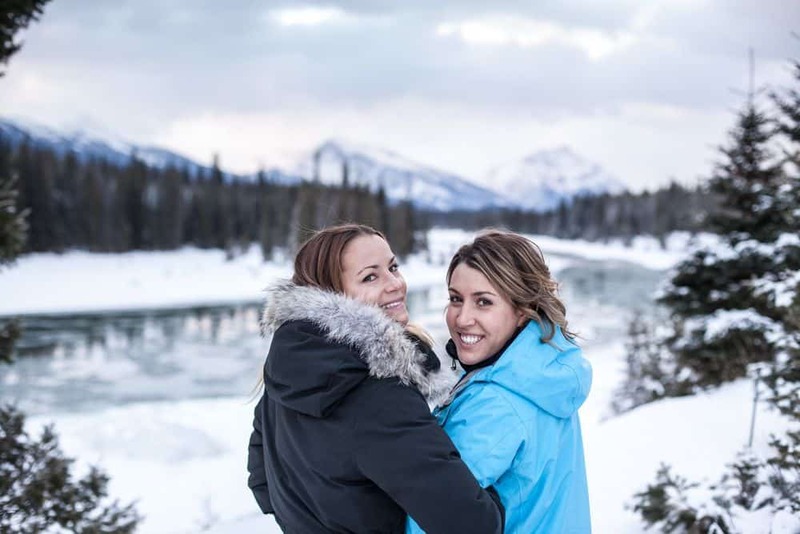 In just a week, this tour itinerary takes passengers through Calgary, Banff National Park, the Canadian Rockies, Jasper National Park, along the Yellowhead Highway by Mount Robson National Park and into the BC interior. The journey then continues west via the imposing Fraser Canyon, before reaching the beautiful coastal city of gay friendly and cosmopolitan Vancouver, where you will conclude your stay. Arrive at Calgary’s International Airport and pick up your hire car. We’ll have an Out Of Office Roadbook at the front desk as you check-in. The remainder of the day is at your leisure to create your own urban adventure in the Stampede City and form your first impressions of Western Canada. Overnight in Calgary. Leaving Calgary behind, you will set your sights today on the magnificent Rocky Mountains. Feel the majesty of these mountains as you first travel through the foothills and then enter Banff National Park where the craggy peaks loom larger the closer you get. After you have arrived in the bustling town of Banff, the remainder of the day is free to explore its charms. Overnight in Banff. Escape into the Canadian Rockies for a 2-hour trail ride. Follow the Bow River and traverse the side of Sulphur Mountain. This is an excellent opportunity to capture panoramic views of the valley from the Bow River and Sulphur Mountain. This excursion is suitable for novice to experienced riders. Drive to Jasper via the spectacular Icefields Parkway, said to be one of the most scenic routes in all the world. We suggest stops at Lake Louise and Peyto Lake en route. A visit to Maligne Canyon in Jasper National Park should also not be missed. Return to the road for the final stretch to the resort town of Jasper. Overnight in Jasper. Prepare yourself for the experience of the Columbia Icefield, located on the boundary of Banff and Jasper National Parks. Covering an expanse of 325 sq. km and reaching depths of up to 320 m, this impressive icefield forms one of the largest masses of ice south of the Arctic Circle. Venture directly onto the Athabasca glacier in a specially-designed Ice Explorer with guided commentary. A unique icy adventure! The Yellowhead Highway will take you on a route first explored by trappers and traders. You will see Mount Terry Fox as well as Mount Robson, the highest peak in the Rockies. If time permits, we suggest exploring Wells Gray Provincial Park, a nature reserve priding itself on the untamed and pristine state of its wilderness. Continue to Sun Peaks, a year-round resort catering to sports enthusiasts. Overnight in Sun Peaks. Board a specially-designed jet boat on this exciting one-hour river safari, taking you along 12 km of the North Thompson River through the spectacular Grizzly Bear Valley. Your point of departure is at Blue River, located between Valemount and Kamloops, just off Highway 5, along an forested area ideal for lunch or picnic stops. An experienced guide will accompany this wildlife viewing tour and provide colourful commentary along the way. Black bears, grizzly bears or moose are seen on the majority of departures. Stops at a mountain waterfall and a clear, glacier-fed lake are also made. Driving past Kamloops, you’ll traverse the stunning, sagebrush-covered ranch lands along the South Thompson River. This is still the land of vast herds of cattle and cowboys on horseback. Entering between the towering rock walls of the Fraser Canyon, you’ll be amazed at the whitewater rapids of the Fraser River gushing far below. Over 750,000 litres of water surge through the 34-metre Hell’s Gate gorge every minute and a gondola ride over this part of the canyon is sure to impress. Further downstream, the lush Fraser Valley opens up into the maritime basin characteristic of the Lower Mainland region of British Columbia as you approach Vancouver, Canada’s Gateway to the Pacific. Overnight in Vancouver. Full day in Vancouver and the surrounding area. Climb aboard a San Francisco-style trolley for a fully guided Vancouver city tour. Sightsee at your own pace as you hop-on and hop-off for any length of time at many premier attractions, parks, gardens, galleries and restaurants. Overnight in Vancouver. Drive to Vancouver International Airport for your onward flight.